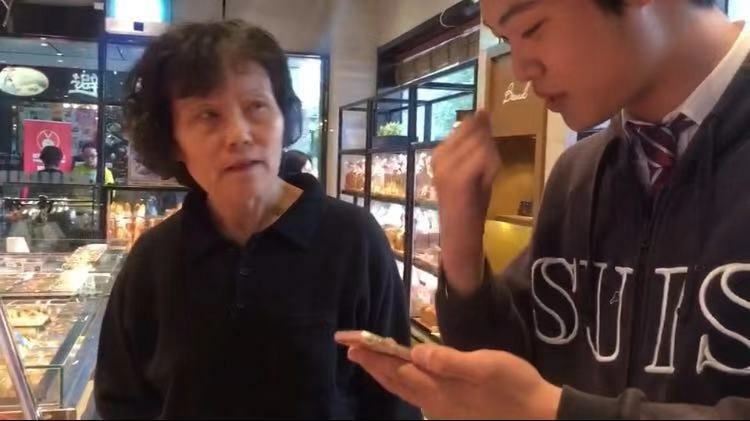 This semester, Chinese teacher Mrs. Chen led our friends in Chinese class to the Friendship South Shopping mall to do a survey about “Chinese cultural expression of foreign brands”. 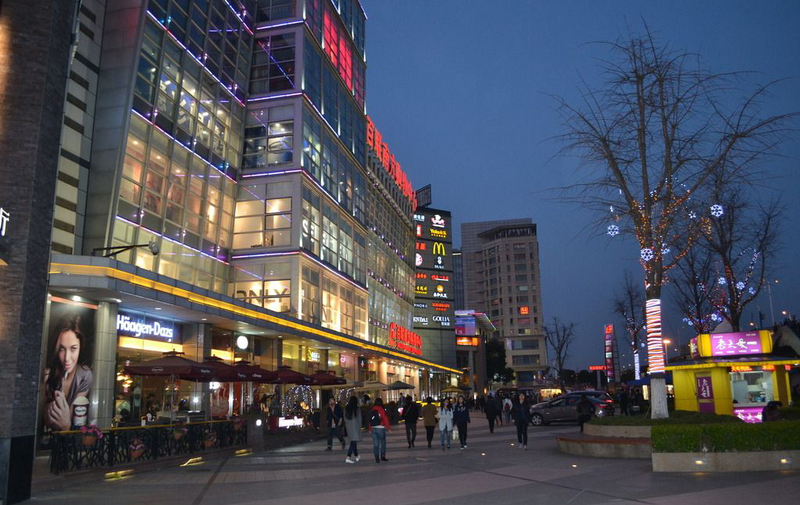 In the Friendship South Shopping mall, we found many well-known foreign brands, such as “Starbucks”, “pizza hut”, “McDonald’s”, “Godivan”, and “Paris baguette”. We looked at the brand which we chose from every Angle. In the process, we hit a brick wall and succeeded, and finally got the ideal survey results. 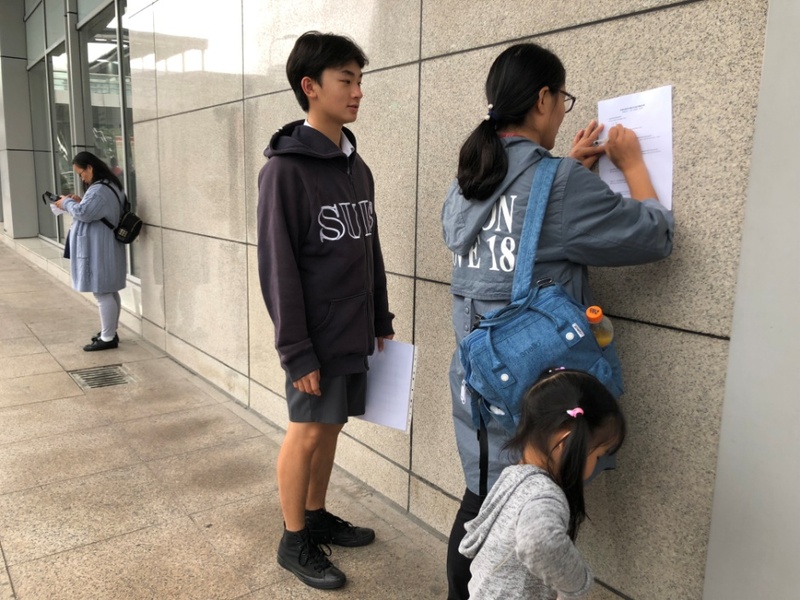 Daniel Hong, grade 11, surveys outside the mall. 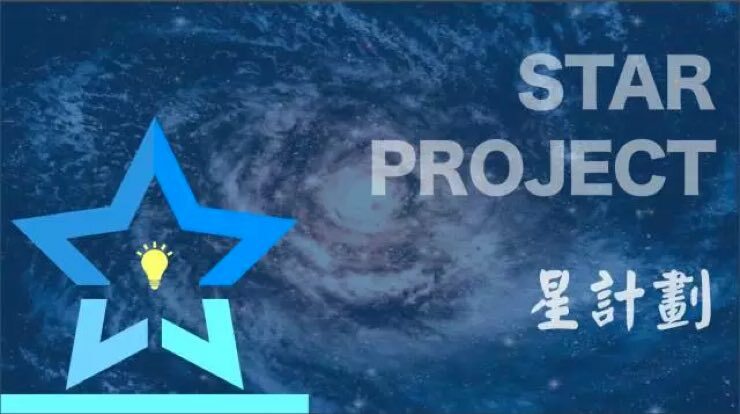 After this investigation, we found that the American converse has made many changes for Chinese culture since it came to China. 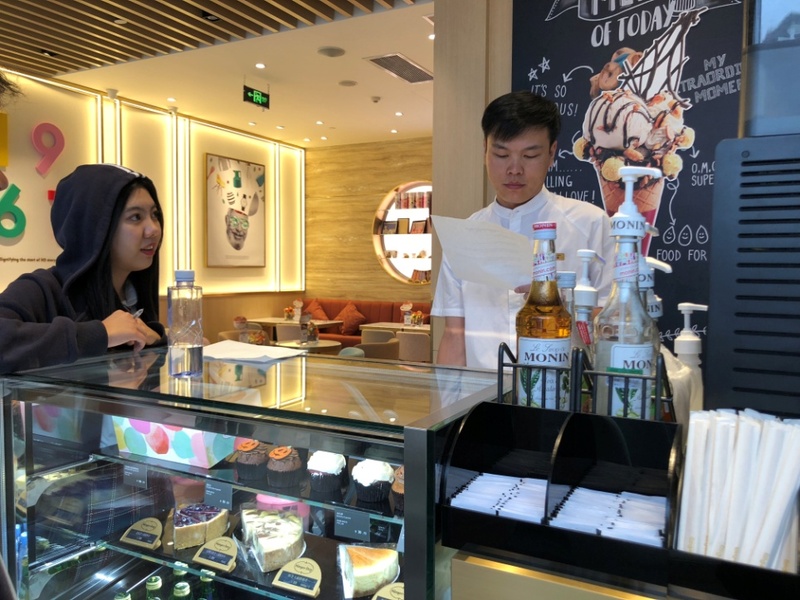 There has been a lot of integration between foreign culture and Chinese culture, and various brands are trying to globalize. Although the activity lasted only over an hour, we gained a lot of knowledge that we could not get from the textbooks. For example, before doing the research, I always thought “Paris baguette” was opened in Paris. At the same time, we also learned the strategy of “Paris beitian” developing to China and introducing Chinese culture. The description of foreign brands in the textbook is very detailed, but it is not as intuitive as going to physical stores. When we step into the brand physical stores, we really feel the bitterness and excitement that we have to do everything by ourselves when we grow up. It is better to travel ten thousand miles than to read ten thousand books. I hope there will be more practice opportunities in Chinese class in the future.